One mistake you should never make in your life is to go hunting with the wrong bow, even though owning a bow can be a big difference for you, you should note that depending on what you will be needing the bow for you to want to make sure you purchased the right set of a bow. Now the question banging up in your head now will be, should you invest in crossbow or better still purchase a compound bow? Well to help you with your thoughts, in this post I will be explaining some of the major differences spotted in this two piece. First thing first before you decide on getting a bow you need to be clear with the reason why you need one, the truth is that you can’t just go and purchase a bow meant for training when you are planning to head inside the forest for haunting. 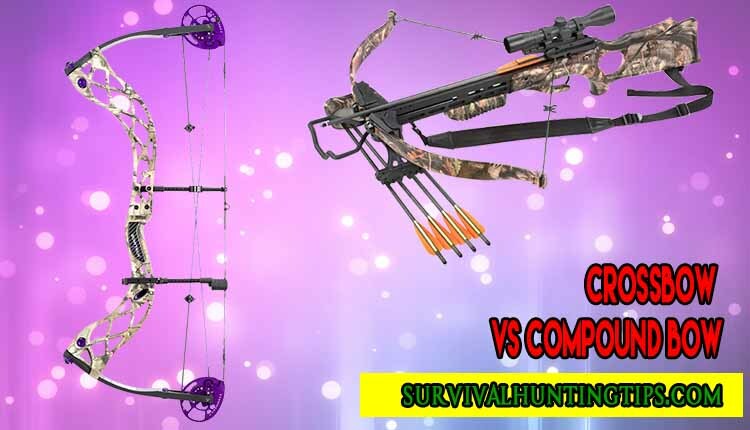 Between the crossbow and the compound bow there are quite some difference between them, please always get a full knowledge on what you want to purchase in other to reduce your risk of wasting your money. Do you know that a 70 power stroke of a compound bow is really faster than almost 150 power stroke of a crossbow. When you draw the string of your bow from full draw to rest position of the areas is known as power stroke. Let’s say for example a compound bow string with a 30 inch fully drawn with 7 inch in height, this will result to 23 power stroke for the compound bow. Note that the longer the power strong the more farther it will go, example a 30 inch will go farther than a 26 inch because of its 4 inch difference. ‎The traditional compound bow which is held in vertical shape, it’s pretty much look alike of the old fashioned bows. With everything advancing and technological improvement presently and Modern advancing the compound bow cams cables, idler wheels. Making them easier to control and definitely powerful. Been held and operated in an horizontal style the crossbow is next to perfect considering the fact that it’s modern designs looks similar to a riffle and the interesting part is that some of them are designed to fire just more than a bow. Most time how one handle a bow will determine how well they can make use of it, the way bow are held obviously will surely has an effect on the results, a compound bow will require both experience and careful handling when trying to shoot. Unlie the crossbow where by you just pull to aim then shoot, well I must say that hunters who love easy handling box should go for the crossbow. When it comes to disabled people, shooting the compound bow will be a very difficult task most especially people suffering from pains like the shoulder and waist will find it difficult to draw the Compound bow but everything made simple with the crossbow. The crossbow can be used by disabled people who may find it hard to shoot a bow and arrow while standing. When it comes to size the compound bow are longer axel-axel when compared with the crossbow, but these compound bows are not as friendly to carry about through the woods. Although most crossbow are usually 24 inches but are even 35 inches or more in length, making them very hard to handle durin hunting in the woods. Is The Crossbow Better For Hunting? 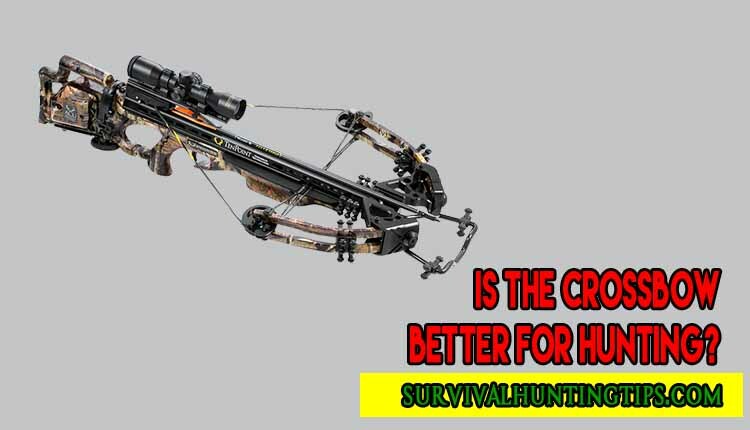 Well as I two-piece say, this comes down to one single question which is which among these two the compound bow or the crossbow is better for haunting, well according to my, choosing the right bow for your hunting will the depend on personal preference. One reason why I may your eaither crossbow or the compound bow maybe the same reason you dislike the bow (How To Choose The Best Crossbow For Hunting). With the crossbow you are sure to get the following advantage, they can typically shoot at around 400 FPS, you can always wait for the perfect shot keeping the bow cocked for as long as you can and when it comes to aiming you can use a crossbow the same way you use a riffle. While for the compound bow you can enjoy the following advantages, they are pretty light and easy to carry around the woods, loading an arrow is much more faster than with the crossbow and they offer much quieter operation because no string vibration like that of the crossbow.